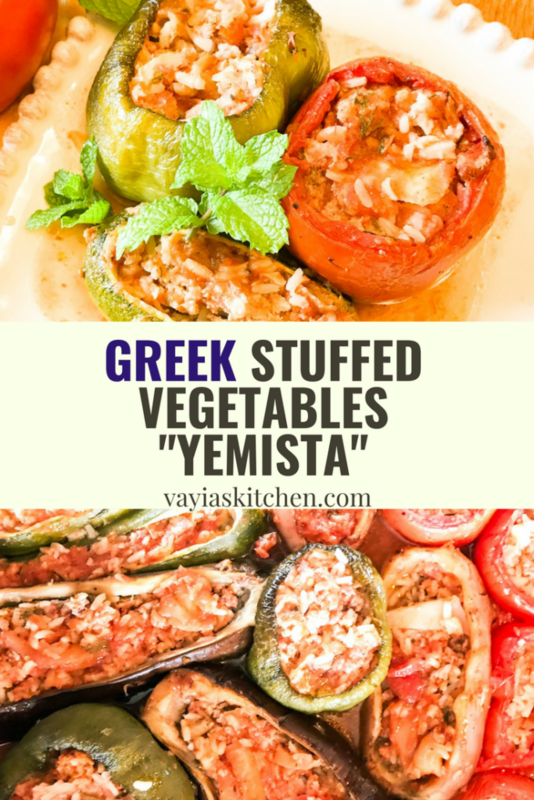 Greek Stuffed Vegetables (Yemista) is a classic, Greek dish that’s healthy, satisfying and delicious! 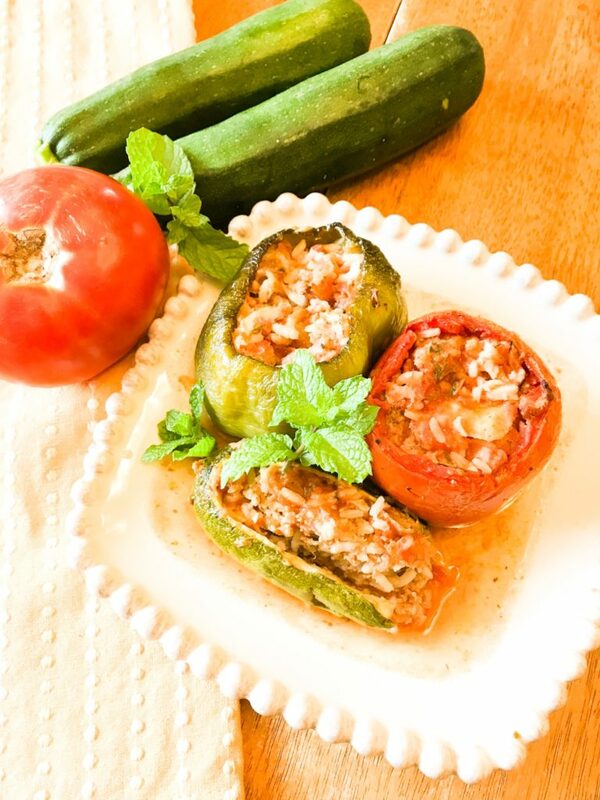 Ever since I was a little girl, I have loved eating stuffed vegetables. 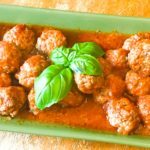 The combination of fresh herbs, ground turkey, and a perfectly cooked veggie is my kind of meal. I recently picked up my weekly CSA share with my daughter. In this week’s share were the most beautiful eggplants, tomatoes, and bell peppers. I couldn’t wait to get home to get started on this feast for my family. 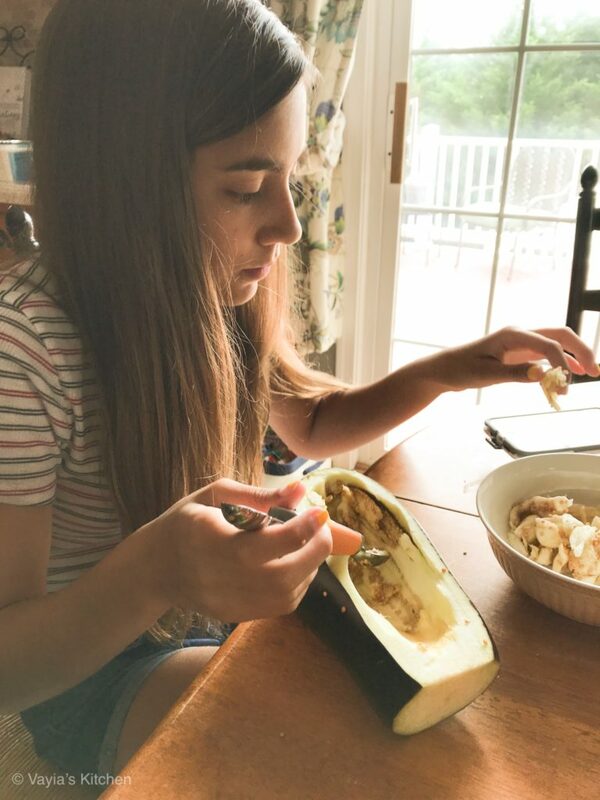 My daughter, who is also a foodie like me, actually offered to help me and learn how to make Greek Stuffed Vegetables. Now who can resist an offer like that? 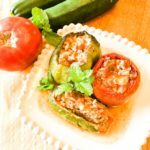 Greek Stuffed Vegetables are usually made with just tomatoes or peppers, but trust me when I tell you — the more veggies you add to this dish, the better! 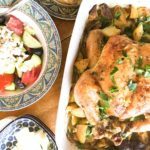 Potatoes, zucchini, and eggplant are also delicious and well worth the prep time and the oven time! You can scale this dish however you wish. If you are serving a small group, you can make 4-6 veggies and use only a 1/2 pound of ground beef and 1 cup of rice. It’s totally up to you! 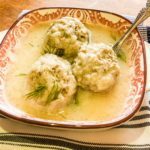 This dish tastes even better the next day and makes plenty of servings. Depending on the size of your family, you’ll have lunch and dinner for a couple of days. 2 tbsp. olive oil, divided. Rinse vegetables and place on a sheet pan. 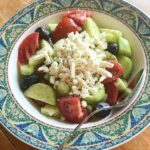 Using a melon ball scooper, scoop out the insides of all the vegetables and place in a large bowl. Discard the seeds from the peppers. Using a food processor, pulse the insides of the vegetables 2-3 times to blend. Place back in the bowl. Add the ground beef, rice, herbs, 1 tbsp. of olive oil and salt and pepper to the bowl and mix thoroughly. In a large pan, pour in the crushed tomato to coat the bottom. Then, assemble your vegetables. Using a large spoon, fill each vegetable halfway full with mixture. 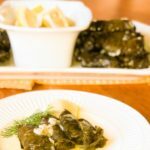 Drizzle with remaining olive oil and sprinkle with a pinch of salt and pepper. 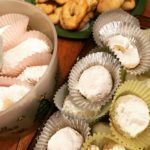 Cover with and bake 40-45 minutes. 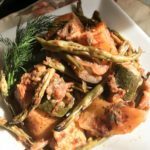 At the 20 minute mark, scoop liquid from the bottom of the pan and pour into the opening of each vegetable. Uncover for another 10-15 minutes, or until vegetables are fork tender and bubbly. 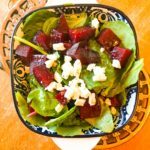 Serve with a fresh salad and your favorite cheese for a complete meal. 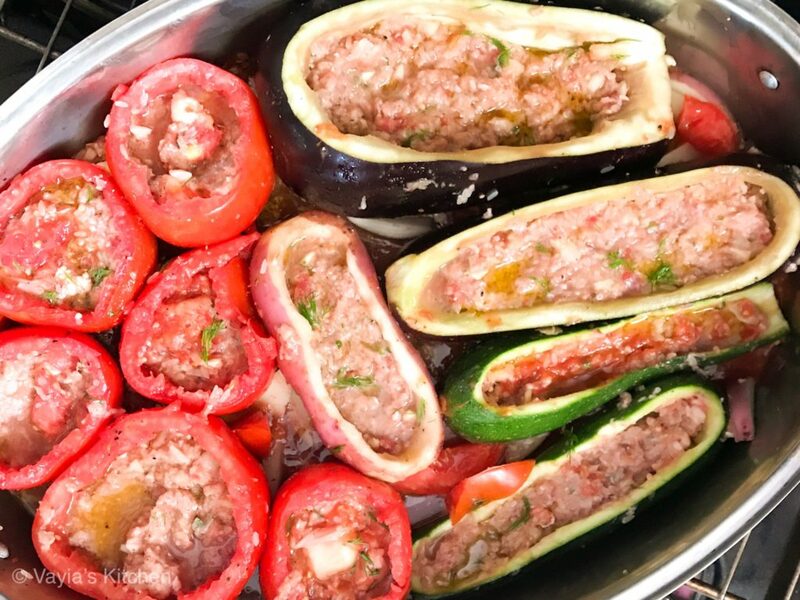 Delicious, traditional Greek Stuffed Vegetables (Yemista) with Ground Beef and Rice is a classic Mediterranean dish that makes the most out of in season vegetables. Make it a complete balanced meal by adding ground beef! 2 tbsp. 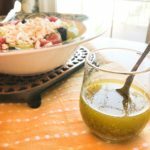 olive oil divided. Pulse the insides of the vegetables 2-3 times in a food processor to blend. Place back in the bowl. Use a large spoon to fill each vegetable halfway full with mixture.